DALLAS – April 18, 2017 — The American Heart Association and Macy’s are proud to kick-off the second annual #GoRedGetFit, an online fitness challenge for women, proven to motivate participants to make transformational lifestyle changes through quarterly health and fitness challenges. 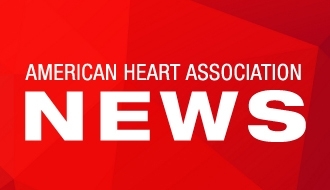 This is especially critical, because each year one in three women dies of heart disease and stroke – affecting African American and Hispanic women at greater rates. This spring, participants are challenged to “Pep Your Step for Good” by logging 10,000 steps a day, getting their cholesterol checked, talking with their doctors about what the numbers mean and following the challenge to help lower and maintain healthy numbers. The #GoRedGetFit quarterly challenges adhere to the American Heart Association’s recommendations for physical activity and nutrition. According to the American Heart Association, excess cholesterol can form plaque between layers of artery walls, making it harder for your heart to circulate blood, which can put you at risk for coronary heart disease, heart attack or stroke. Checking your cholesterol and understanding how you can change those numbers through education and lifestyle changes are essential steps to preventing cardiac events. This year’s campaign will be led by Scott Parker, who has been instrumental in the development of #GoRedGetFit’s success during year one and has trained celebrities like GRAMMY® award-winning singer-songwriter Jill Scott and comedian and actress Niecy Nash. Newly added fitness mentor Lisa Morales, a former TV personality who offers healthy eating tips, workout plans and inspiration through her social media platforms, topping 5.2 million followers on Facebook, will join Parker in guiding participants to achieve attainable health and fitness goals for women at every level throughout the themed quarterly challenges. “Glisten Up and Get Lean” (July – September): Get three days of strength and resistance training exercises as part of your 150 minutes per week (or 30 minutes, five days per week) of exercise and eat healthy sources of protein like more lean meat and nuts, less red meat. “It Takes Two to Tango” (October – December): Get 150 minutes of moderate activity or 75 minutes of vigorous activity (30 minutes a day, five days per week) and focus on reading and understanding food labels. “She Got Moves” (January – March): Select from any of the previous physical activity quarterly challenges, 150 minutes per week (or 30 minutes, five days per week), and make a weekly meal plan to keep meals healthy, balanced and well proportioned. #GoRedGetFit is an initiative of the American Heart Association’s Go Red For Women campaign designed to help diverse women make healthy changes that become lifelong habits. Each challenge lasts about 12 weeks and offers women a platform with the guidance and educational tools needed to see results in their health and feel good about themselves. As the founding national sponsor of Go Red For Women, Macy’s has helped to raise more than $55 million for the cause since 2004. Participants share recipes, post videos and photos that celebrate goals and inspire others. The daily engagement and positivity keeps healthy living top of mind and contributes to the real success of the program. Sacrifices often come with rewards and such is the case with #GoRedGetFit, where participants are randomly selected to win prizes from Go Red For Women and Macy’s including gift cards, Ideology active wear and more. During the fourth quarter challenge, one grand prize winner will get a full experience to the American Heart Association’s Go Red For Women Red Dress Collection presented by Macy’s in New York City in February 2018. For more information about #GoRedGetFit visit www.GoRedForWomen.org/GoRedGetFit/. To join the online challenge now, visit https://www.facebook.com/groups/GoRedGetFit/, logon to your personal Facebook account, search for #GoRedGetFit and click on the “Join” button. Macy's, the largest retail brand of Macy's, Inc., delivers fashion and affordable luxury to customers at 670 locations in 45 states, the District of Columbia, Puerto Rico and Guam, as well as to customers in the U.S. and more than 100 international destinations through its leading online store at macys.com. Via its stores, e-commerce site, mobile and social platforms, Macy's offers distinctive assortments including the most desired family of exclusive and fashion brands for him, her and home. Macy's is known for such epic events as Macy's 4th of July Fireworks® and the Macy's Thanksgiving Day Parade®, as well as spectacular fashion shows, culinary events, flower shows and celebrity appearances. Macy's flagship stores -- including Herald Square in New York City, Union Square in San Francisco, State Street in Chicago, and Dadeland in Miami and South Coast Plaza in southern California -- are known internationally and are leading destinations for visitors. Building on a more than 150-year tradition, and with the collective support of customers and employees, Macy's helps strengthen communities by supporting local and national charities giving more than $69 million each year to help make a difference in the lives of our customers. Macy's logo with the red star.